Public transportation: We are accessible by TTC by the 47 Lansdowne bus, the 505 Dundas Street West Streetcar, or the 506 College Streetcar. Parking: Xpace does not have public parking. Paid street parking is available on Dundas and College Streets. Accessibility: Xpace’s entrance is at street level with no steps. The galleries, office and gender neutral washrooms are all located on the 1st floor. Service animals may accompany visitors at any time. Lighting and fragrance vary per exhibition/event; please contact us if you have any questions regarding these items. 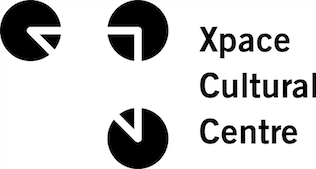 Please note: Exhibitions at Xpace are programmed through an annual open call. Xpace does not rent gallery space for events or exhibitions. Please do not contact us using the form below. For any questions or inquiries please use the email addresses to the right.